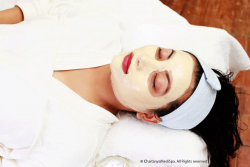 ● Facial helps in keeping your skin youthful and rejuvenated. ● Normal facial is a combination of skin treatments, including cleansing, exfoliation, steam,extraction, tone, peels, facial masks and facial massage with moisturizing creams and lotions. ● Facial not only provides extensive cleansing and rejuvenating, but also provides better blood circulation and relaxation. ● Normal facial uses creams and products that best suits your skin type. 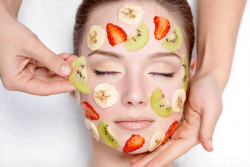 ● Fruit Facial is a natural kind of facial with maximum benefits. ● It is a combination of Natural skin treatments that include cleansing, exfoliation, steam, extraction, toning, peels, facial masks and facial massage. ● In every steps of fruit facial all natural ingredients are used so, even the most sensitive kind of skin can use it without any side effects. ● Fruit facial transfers the goodness of fruits to your face. Fruits are rich in vitamins, essential minerals, antioxidants, amino acids and fatty acids which are very good for your face to maintain its elasticity and youth. ● It brings out the inner glow of your skin and promotes anti-ageing. 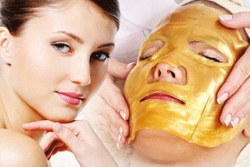 ● Gold facial not only gives a beautiful, glowing and youthful skin but is also beneficial in activating the process of cell renewal. ● It slows down the collagen depletion, increases skin’s elasticity, lightens the skin’s complexion, stimulates the cells making the skin firm, improves blood circulation and prevents premature aging, wrinkles, tanning etc. ● It provides your skin with oxygen and removes the tired appearance. ©Copyright 2015 @Chaitanya Medi-Spa All Rights Reserved.